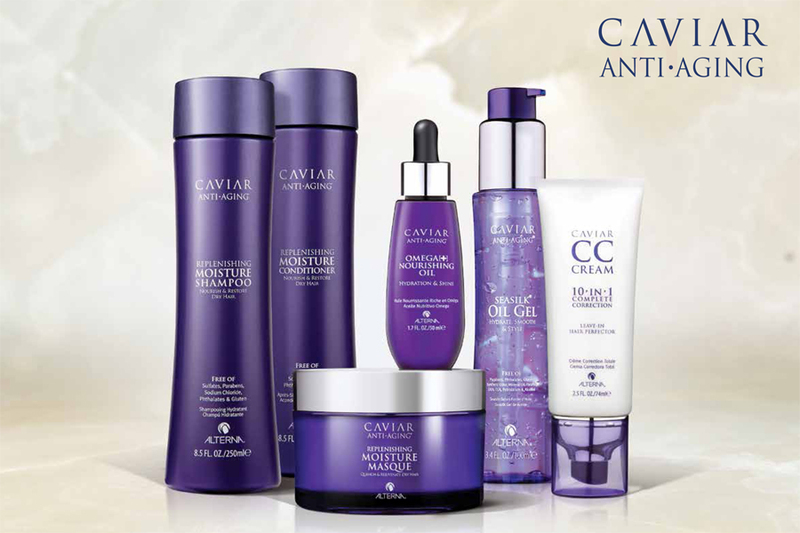 We are delighted to announce that Pure Hair Leamington is now offering the Caviar Collection from Alterna. Known for their ground-breaking formulas, Alterna are at the forefront of luxury professional hair care. Continually innovating, Alterna addresses your hair dilemmas and helps combat daily stressors like environmental factors, chemical treatments and ageing. Tailored to give you the most professional results, Alterna uses only pure, natural ingredients and all its products are free from parabens, sulfates, phthalates and other harsh additives. The key ingredient, Caviar Extract, contains strand-building proteins which target damage at a microscopic level to rebuild, resurface and restore hair. Omega-3 fatty acids which infuse hair with moisture, elasticity and shine. Vitamin C a proven anti-oxidant that prevents damage to the hair. A powerful blend of marine botanicals to provide hair with exceptional moisture. Alterna has attracted an A-List following including Julia Roberts, Katie Holmes and Victoria Beckham. A luxurious cleanser & conditioner that improves the overall appearance of dry, damaged, brittle hair and works to restore moisture while protecting hair from colour, daily stresses & future damage. Hair is smoother, softer & shinier looking after just one use. Prevents up to 95% of breakages. A restorative paraben, sulfate and sodium chloride-free shampoo & conditioner that transforms severely damaged hair, intensely nourishing & repairing each individual strand. A multi-tasking treatment styler that nourishes, replenishes and preserves the health of each hair strand, while delivering 2x the volume. Long lasting style holding power from the roots to the ends with a touchable soft feel. A lightweight treatment styling mousse that is clinically proven to thicken and strengthen your hair and increase the diameter of each hair strand. Leaves your hair looking and feeling healthy with an abundance of volume. This daily volumising cleanser and conditioner build thickness, volume and protect colour from root to tip. Ask your Pure Hair stylist about the Alterna Caviar Collection next time you’re in the salon and see the results for yourself.